NRC issues report on incident at Indian Point plant in N.Y. 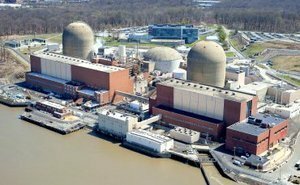 The U.S. Nuclear Regulatory Commission (NRC) issued an event notification on Monday regarding an incident that occurred at 5:31 p.m. EDT on Dec. 5 at the Indian Point nuclear power plant in Buchanan, New York. The notification said the second unit at the facility had to be shut down due to a power failure that caused the dropping of control rods. The power failure has been attributed to the smoldering of the Motor Control Center (MCC) cubicle that acts as a power source. The NRC said off-site power sources are intact and that the third unit at the facility has not been affected by this event. In response to the event, New York Gov. Andrew Cuomo issued a statement on the situation. “The company reports that there was no radioactivity released to the environment,” Cuomo said. “I have directed the Department of Public Service to investigate and monitor the situation, and a team is currently en route to Indian Point to begin its work." Staff at the facility are currently investigating the incident. The Indian Point facility is owned and operated by Entergy Corp.